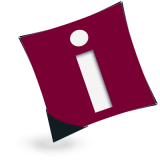 iMENTORS has opened its data to all unregistered users in its last six months of operation. It is important that donors provide information about the aid they give. More important though is for the information to be publicly available in a way that people can easily understand. iMENTORS (www.imentors.eu) is the most comprehensive data map on ICT investments in Africa and contains data across a multitude of entities, classified as organisations, research infrastructures, fibre networks and projects. According to an article published on Devex, the world’s largest and most influential providers of aid reaffirmed their commitment to transparency this year. A United Nations panel advising on the framework to follow the Millennium Development Goals called for a “data revolution,” and G-8 members specifically committed to implement the International Aid Transparency Initiative, the only internationally agreed standard for publishing aid information. 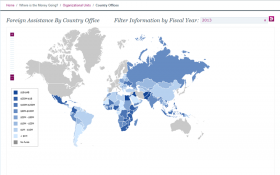 The Foreign Assistance Dashboard was created in response to the principles of the Paris Declaration on Aid Effectiveness and President Obama’s Open Government Initiative. The goal of the Foreign Assistance Dashboard is to enable a wide variety of stakeholders, including U.S. citizens, civil society organizations, the Congress, U.S. Government agencies, donors, and partner country governments, the ability to examine, research, and track U.S. Government foreign assistance investments in an accessible and easy-to-understand format.